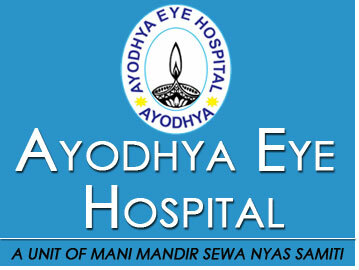 An integral part of Ayodhya Eye Hospital is its community outreach programmes like screening eye camps, school eye health programme, and refraction camp. 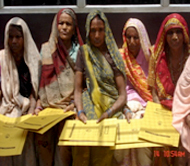 All of these provide different strategies for taking eye care service to the doorstep of the community. An effective outreach programme is targeting approximately 2.5 million people living in this geographical region. 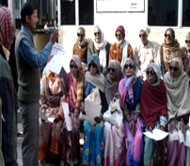 The outreach department organizes camps in rural & remote areas and patients are screened for eye diseases. Particular attention is paid to children under 15 years. As children in particular are affected with Vitamin-A deficiency and resulting Xerophthalmia, outreach workers visit local schools under the school screening camp to detect preventable cases of blindness. Through screening camps, medical teams reach patients in rural areas. The team carries necessary instruments and screens the patients for Eye disorders. Once the screening is done, patients diagnosed for cataract are counseled for surgery & are transported to Ayodhya Eye Hospital at Ayodhya. On discharge patients are transported back to the camp site .All the relevant investigations, surgery and medicines post-operatively are provided free, Patients with disorders like glaucoma, vitreo retinal diseases or children with refractive errors are referred to the hospital. The beneficiaries of this camp are the poor people who can not afford quality eye surgery. On an average12 to 14 camps are organized in a month. 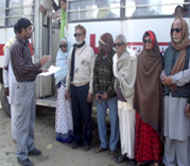 In each camp the team from Ayodhya Eye Hospital examines about 50-100 patients. The post-operative review patient is also done at the camp spot during the subsequent month. Hence patient undergoing surgeries through the camps in the hospital are not required to travel to the hospital unless required. "To achieve the maximum reduction in avoidable blindness in the district through optimal utilization of available resources in the district”. With support of DBCS Faizabad the Ayodhya Eye Hospital has been doing 3-4 camps per week and performing quality surgeries.